A new restoration fund has been launched to help repair footpath damage sustained during December’s floods in Cumbria. The fund will be delivered as part of the Rural Development Programme. Applications are now open for a £3.5 million fund to help repair and improve Cumbria’s public rights of way damaged by Storm Desmond in December. The Cumbria Countryside Access Fund aims to attract more tourists to the county by making it easier for people to explore the Lake District and Cumbria’s countryside, as well as directly benefiting residents. Individual grants from a minimum of £100,000 are available for landowners or public bodies. This money will cover reinstating and improving rights of way for rural towns and villages, visitor attractions, long distance trails and those passing through environmentally sensitive areas. Floods Minister, Rory Stewart said the fund will provide a ’great boost for local communities’. He said: "This money will help re-open many walks and areas that suffered in the dreadful December floods, providing a great boost for local communities and getting the message out loud and clear that Cumbria is very much open for business. The maximum grant offered will be £1 million in each of the North, East and South Lake District areas, and £500,000 in rural areas of Cumbria outside the Lake District National Park. Chief executive of the Rural Payments Agency (RPA), Mark Grimshaw said the fund will help ’restore rights of way popular with locals and visitors, as well as protect them from any future instances of flooding’. Applications will close 5pm on June 13, 2016. Grant Checker is an online tool that allows you to look up and research agricultural grants, loans and scholarships available to you as a farmer. 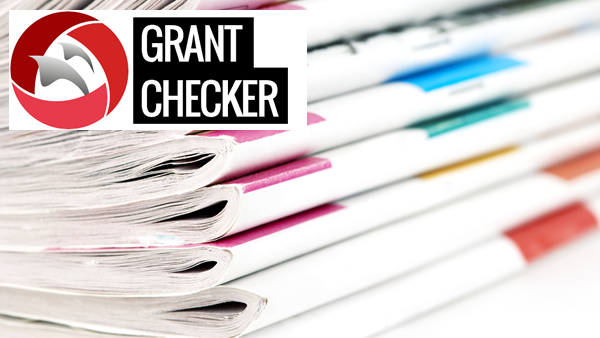 You can access the Grant Checker via your desktop computer, tablet or a mobile device to search grants based on your location and age. For more information about this, and other grants available to you, visit FG Insight's Grant Checker by clicking here.